"It's much more intense now." "The leak hunts are getting very aggressive." "The climate of fear surrounding the Russia investigations is off the charts." These are national security reporters describing the difficulties of the job -- communicating with anonymous sources and dealing with classified information. The reporters say it's especially tricky now that President Trump has publicly demanded the prosecution of people who leak government secrets. "This is a tough operating environment. There is a chill for sure. We'll see how bad it gets," New York Times reporter Adam Goldman told CNN. Other reporters say Trump's crackdown has caused them to re-evaluate "source protection" and "operational security." On the one hand, there are a relatively high number of government employees who want to clandestinely help reporters right now. On the other hand, there's an aggressive government effort underway to root out those employees. 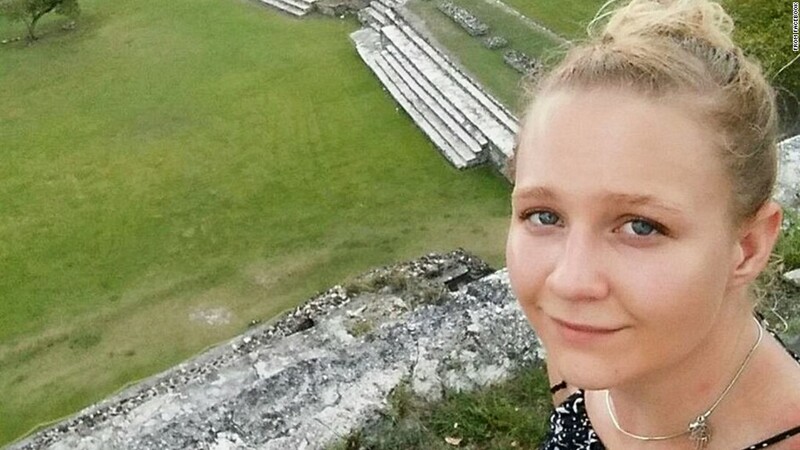 On Monday the Justice Department announced the first Espionage Act case of the Trump era, bringing charges against a woman who, according to prosecutors, sent a top-secret NSA document to The Intercept. The charges were announced one hour after The Intercept published its story about the document. Experts said the Obama administration would have likely brought the same case. Indeed, Obama's Justice Department was criticized for the high number of leak cases that it prosecuted -- it brought more Espionage Act-related charges against leakers than all previous administrations dating back to 1945, combined. The difference now is Trump's words, and the chill they have created. Trump's loud public proclamations about his frustration with leaks have been heard clearly at various federal agencies, creating uncertainty and anxiety there and with the reporters who cover them. "I think that the unknown for us, as national security reporters, is: What are they willing to do? How far are they willing to go outside the lines to clamp down on things they don't like?" one beat reporter said on condition of anonymity. Yes, some of the reporters insisted on anonymity, the same way their sources do. Why? Because the entire subject is so sensitive. "With my sources, the fear is tangible," one of the reporters said. A government source confirmed to CNN that individual intelligence agencies have sent several referrals to the Justice Department for potential followup. The referrals were first reported by ABC News last week. Referrals about specific leaks of classified information open the door for a criminal investigation, but it is unclear how many such investigations are underway. A Justice Department spokeswoman said the agency will not comment "on the existence or non existence (or nature) of any investigations." This means reporters and their sources are mostly in the dark. But four veteran Washington reporters told CNN that they sense -- based on what their sources are noticing at work -- that leak hunts are taking place. "Everyone is feeling the heat," one said. "People who talk to certain reporters have been approached for info about specific reporters," another said. "The FBI has searched their employee phone records for contacts with reporters. Not surprising, I suppose. And that's the point of the leak probes, to scare people to not talk to reporters." Still, there have been an extraordinary number of leaks from the government, some about top-secret work and others about Trump administration infighting and incompetence. It's typical for intelligence reporters to use "burner" phones, seek face-to-face meetings with sources and take other steps to protect sources. But they're being even more careful now. "I am not gonna talk about it" is all Goldman would say about tradecraft. He pointed out that Obama's Justice Department secretly obtained his phone records during a leak investigation in 2013. One of the longtime reporters who spoke on condition of anonymity said he has perceived a White House effort to "smoke out" sources: "We noticed that, after we came to the White House with a story they didn't like, they asked us to circle back to our sources before publication, to do a final fact-check. We don't know what their intentions were, but we were concerned that it was a trick -- to try to get us to light up the phone networks in the intel community." Another national security reporter said the Obama administration was "terrible" in terms of prosecuting leakers, but noted, referring to certain guidelines the DOJ put together after being criticized for leak prosecutions, that "there were certain 'rules,' certain legal pathways that they had to use." Now, with Trump, "there is this kind of unknown. It's hard to know how far they'd go." Trump has repeatedly tweeted that leakers of classified information should be found. And back in February, according to The New York Times, Trump told FBI director James Comey to consider imprisoning reporters who publish classified information. Trump fired Comey last month. Attorney General Jeff Sessions has, like Trump, been vocally critical of leaks and has pushed the FBI to prioritize leak investigations. "It's very rattling as a reporter, but also very motivating as a reporter," one of the veteran journalists said.